Sunglasses are the one accessory we all have in common because everyone needs a good pair so I linked all of my current favourite's above. 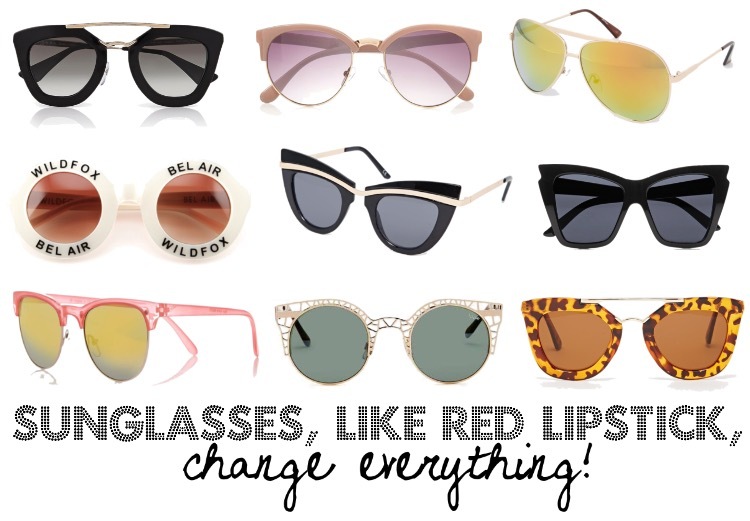 I recently said that sunglasses are my favourite accessory because I genuinely never leave the house without a pair... I just can't. Having said that, this post should probably not be named summer accessories because I happen to believe they are an all year round necessity and yes it is okay to wear them inside. Me and my sunnieswill not be seperated!! is there anything you can't leave the house without?